Growing up as a little girl, one of our Christmas traditions was to eat oyster stew before heading out to church for the Christmas Eve candlelight service. When I was about 10 years old, my mom watched as the entire family picked unhappily at our stew. Realizing that perhaps her family didn't like canned oysters, she asked, "Would you rather start a new Christmas Eve meal tradition or stick with oyster stew?" The results were unanimous, and the next Christmas, a new tradition was born as mom served our well-loved Grandma's chili. 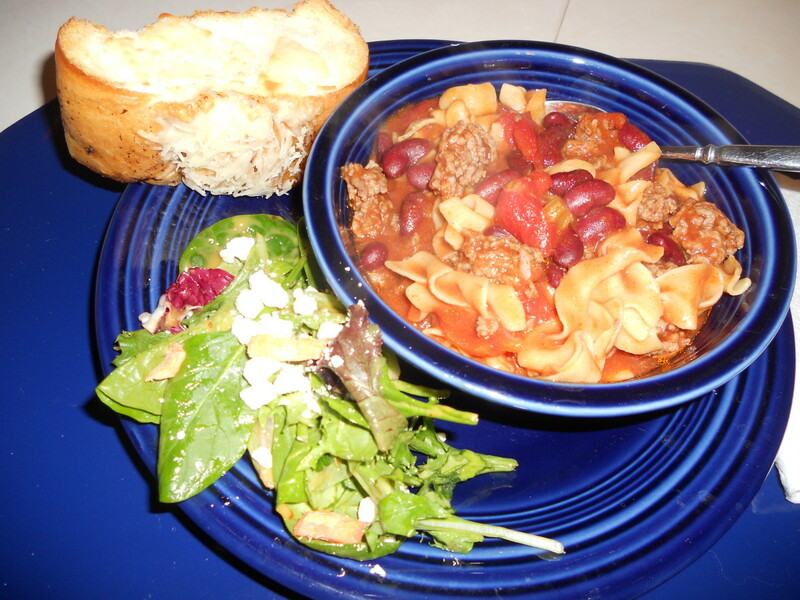 This Northern chili recipe with egg noodles was handed down from my grandma to my mom to me. It's not your traditional meat and bean chili. This chili is a bit of a cross between regular chili and a tomato-based noodle soup. Thick with flavor, vitamins and love, Grandma's Chili quickly became the Christmas Eve meal tradition in my childhood and continues to be served before Christmas Eve candlelight services in my own home. 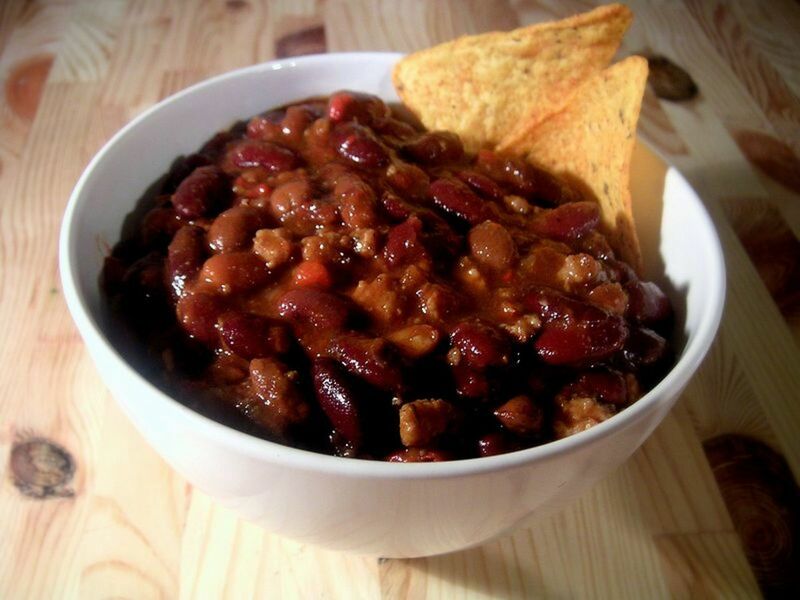 However, this delicious chili take-off isn't just for Christmas and is a quick, healthy meal any time of the year. The basic recipe can be easily updated, and your favorites from peppers to chilies to corn can be added to put your own twist into this healthy family favorite. Brown hamburger. 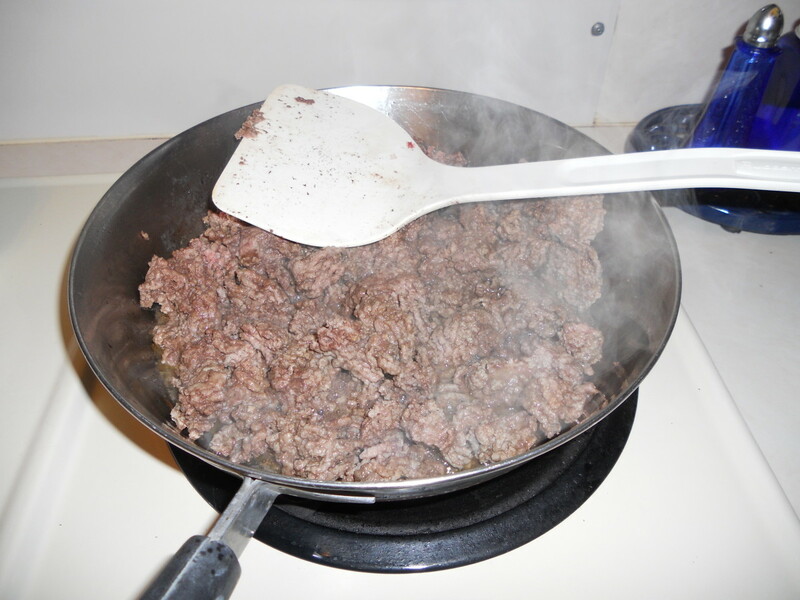 To brown hamburger, put one pound of unfrozen hamburger into a frying pan that has already been sprayed with a non-stick cooking spray and place on medium high heat. Using a firm spatula, break hamburger into desired chunks and cook till hamburger is brown and cooked to 160 F.
Sprinkle chili powder on cooking hamburger. 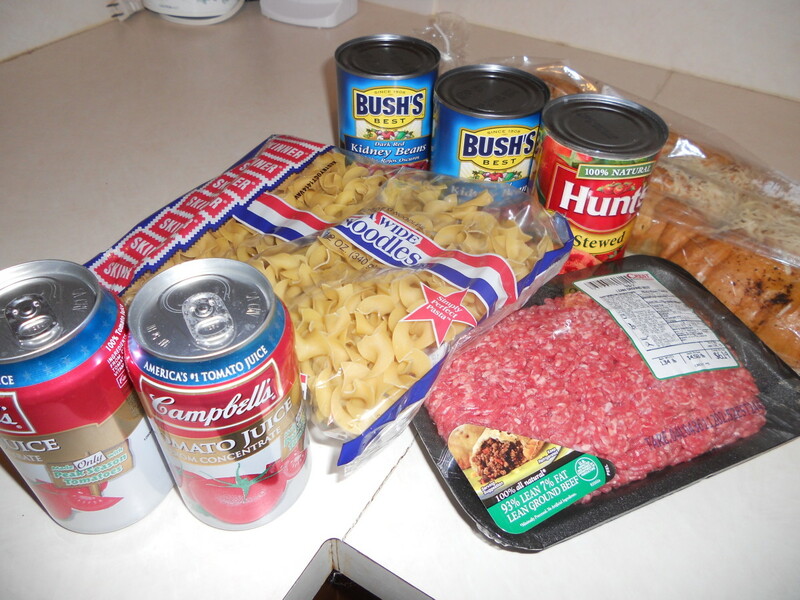 While the noodles and hamburger are cooking, add the cans of kidney beans, tomato juice, tomato soup, stewed tomatoes, and salt to large kettle. Put heat on medium high. Stir. 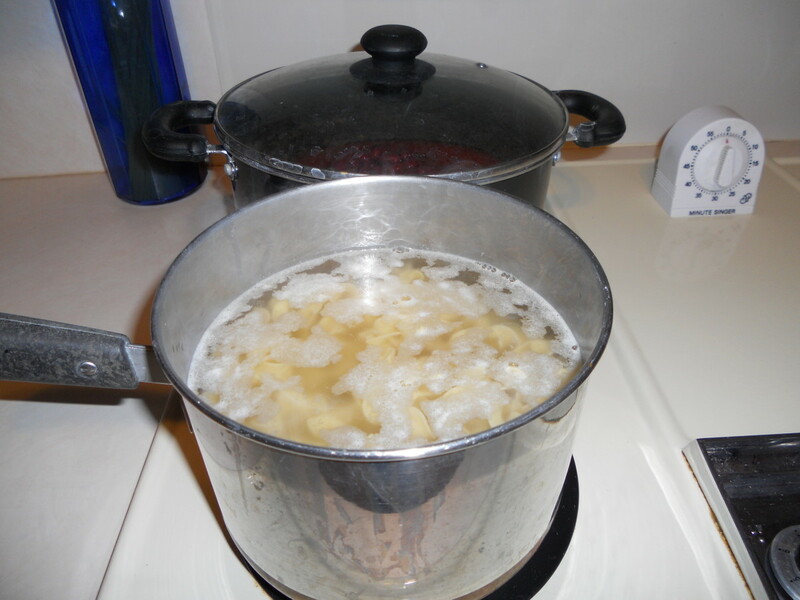 After they are done cooking, add noodles and hamburger to large kettle. Mix and taste. Add salt and more chili powder to taste. You can add water to thin to your taste, but only if needed. Be careful not to add too much water, as that will ruin the recipe. I usually add very little water. Bring to soft boil and let simmer for 10 minutes to let flavors mix before serving. Reheats well. 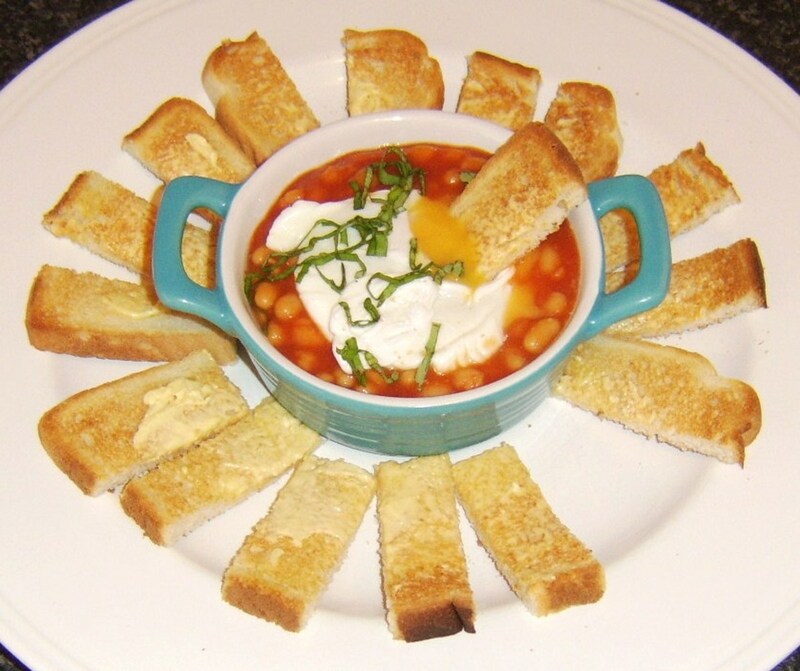 One of the best things about this dish is its versatility. I believe in adding and changing recipes. You can do so many things with this recipe. 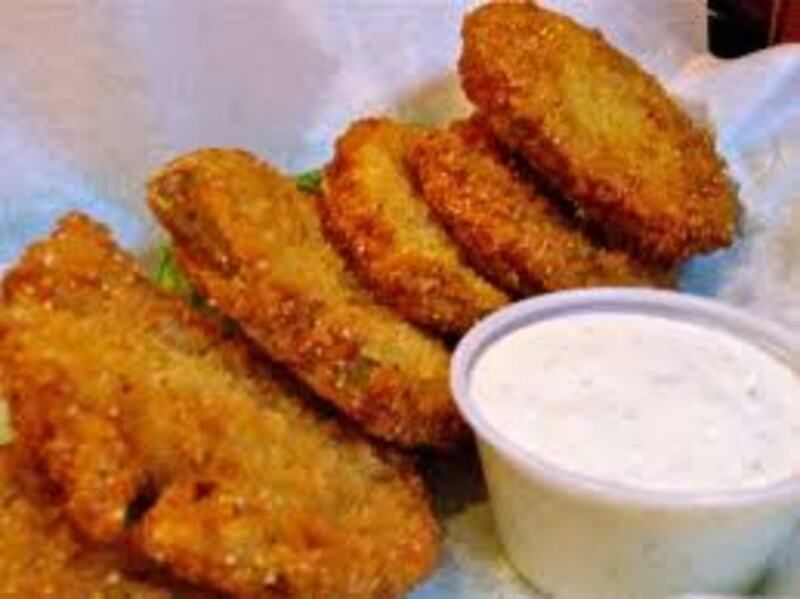 Consider adding corn or other vegetables, like okra or broccoli. If you like things spicy, add in green chilies, onions or peppers, hot sauce, or red chili flakes. How about placing a dollop of sour cream on the top after ladling the chili into a bowl or topping it with extra sharp cheddar cheese? 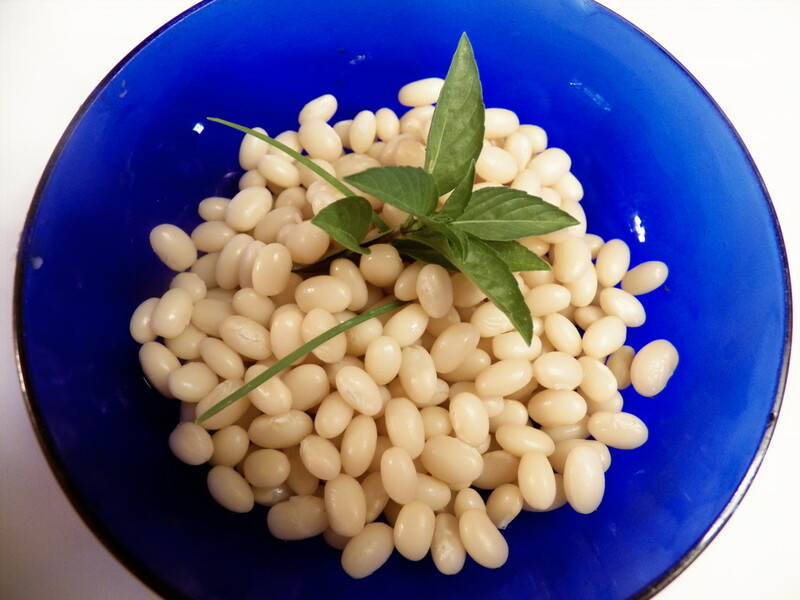 If you don't like kidney beans, how about substituting navy beans or black beans? Or instead of using tomato juice, try using V8 tomato juice for a completely different taste. The variations to this dish are almost endless. 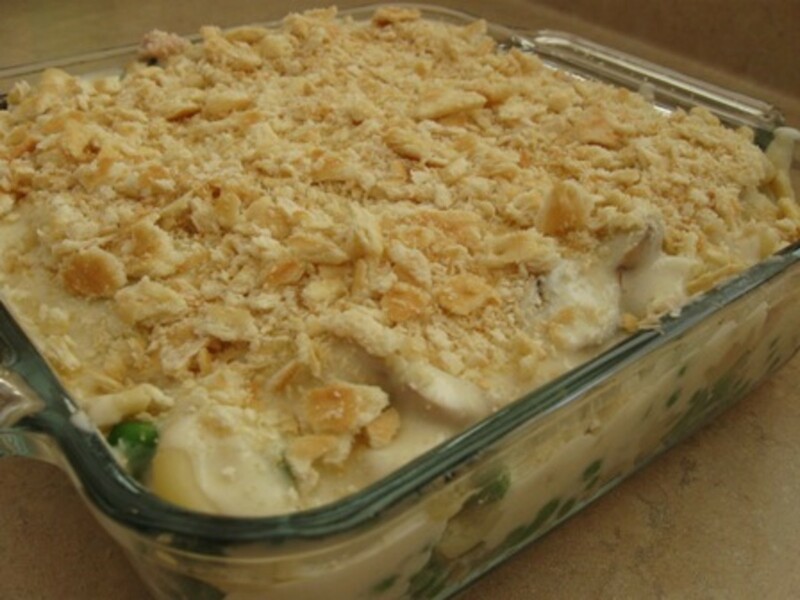 By tweaking this basic recipe to your own tastes, you can come up with a tradition that is all your own. If the sodium content is a concern for you, try using no salt added tomatoes. You can also look for low salt tomato juice or tomato soup. Most of the salt content in this recipe comes from the canned tomatoes. The salt grams can be drastically lowered by using low or no salt alternatives. You can also cook this with fresh tomatoes or home-made tomato juice and soup for a fresh taste. 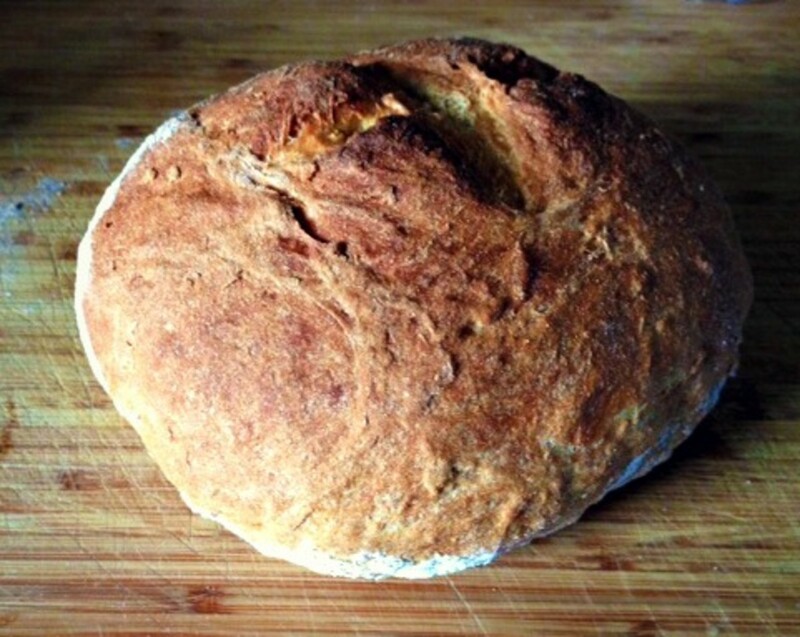 Do you have heirloom recipes - or recipes that have been handed down from generation to generation - in your family? Definitely a favorite from "back home"in NoDak! This is definitely not my typical Chili recipe now, but it will always be one I'll return to my childhood with! Always served the chili on top of a bed of egg noodles though and I don't eat them now for the most part, this always had a bologna sandwich on the side! It all about what you grow up with! LOL!! 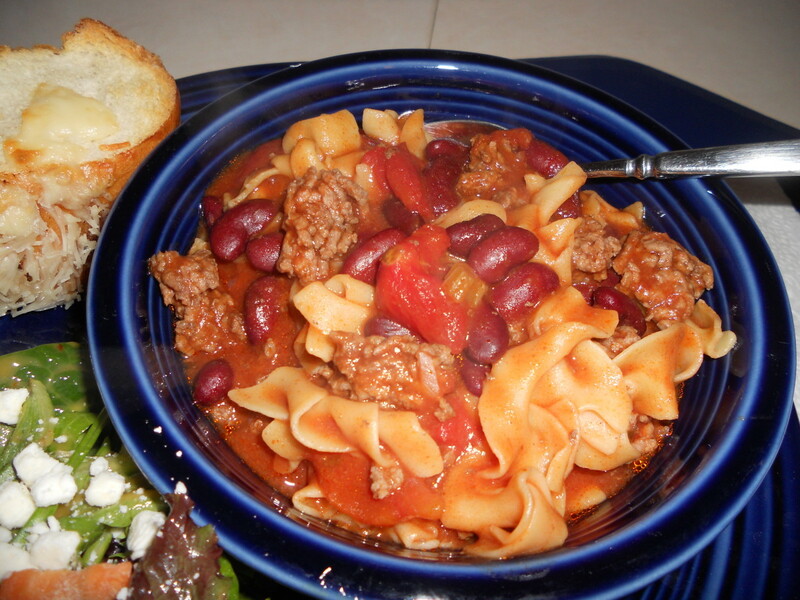 Apparently you are with the name "thenoodleguy" :) This might be your type of chili!! Thanks for dropping by. awesome recipe :) might have to try it sometime! I am a huge fan of noodle dishes! Makes me hungry now at almost six a.m. and I'm not even a breakfast person. Believe I will be thinking of this tasty dish a lot today. Thank you AM. 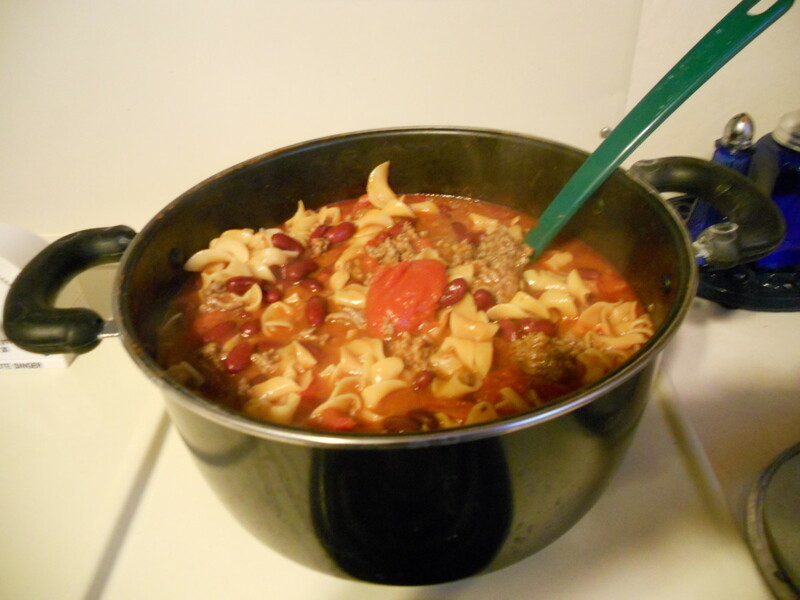 My mother always said noodles in chili version was a northern thing. I'm not sure of that, but this is a very distinct chili recipe. I hope you enjoy it!! I've never seen a chili recipe with noodles before; I'm definitely going to try it. 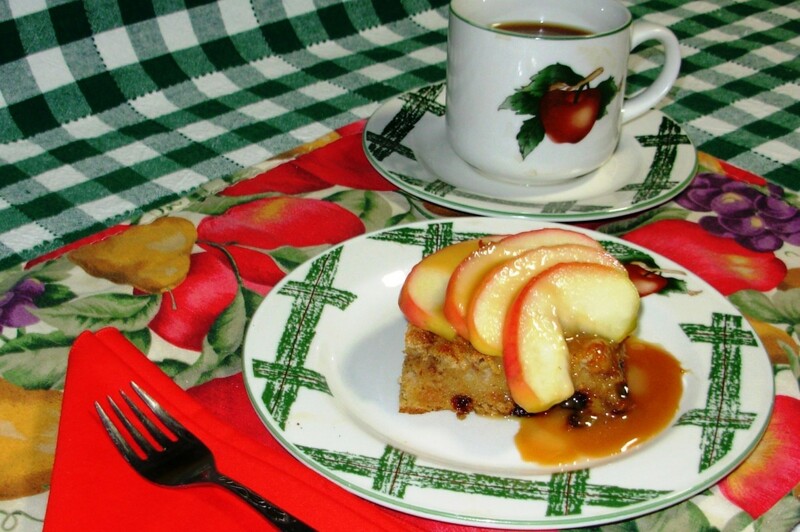 Thanks for sharing your grandmother's recipe! Thanks Mhatter!! This is definitely a different type of chili. I appreciate you stopping by! !